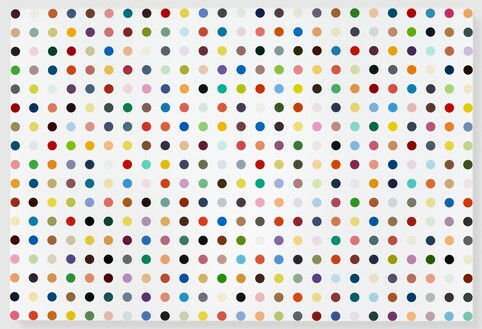 I was always a colorist. 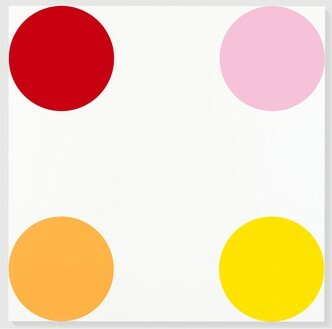 I’ve always had a phenomenal love of color. . . . 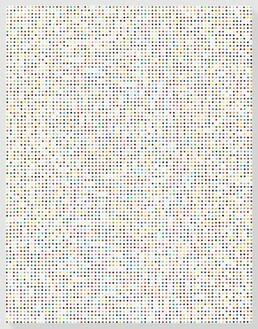 I mean, I just move color around on its own. 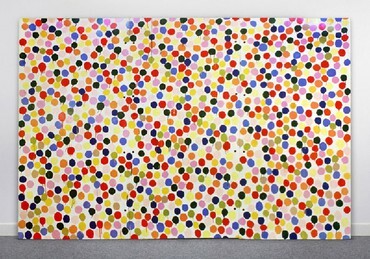 So that’s where the Spot paintings came from—to create that structure to do those colors, and do nothing. 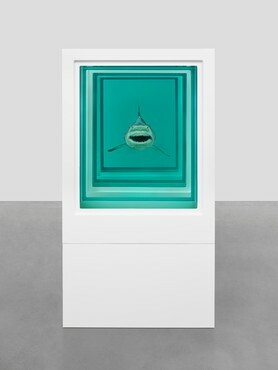 I suddenly got what I wanted. 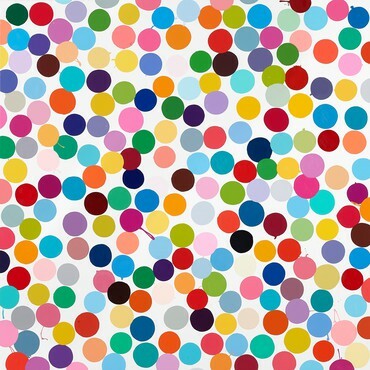 It was just a way of pinning down the joy of color. 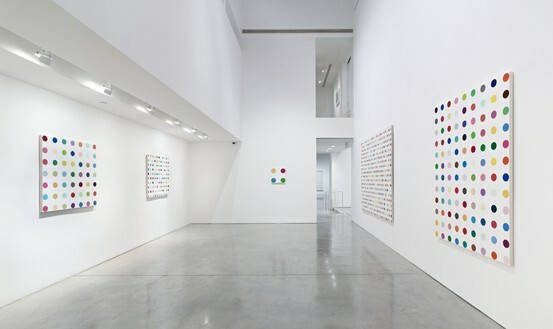 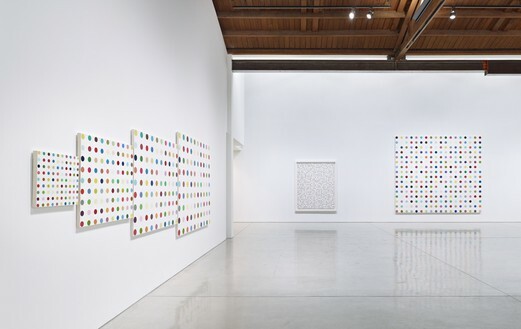 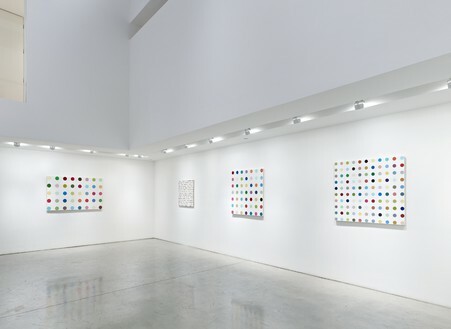 Gagosian is pleased to present The Complete Spot Paintings 1986–2011 by Damien Hirst. 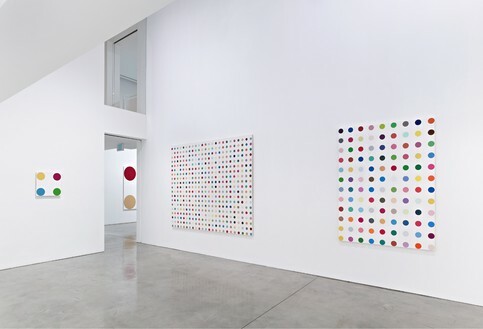 The exhibition will take place at once across all of Gagosian’s eleven locations in New York, London, Paris, Los Angeles, Rome, Athens, Geneva, and Hong Kong, opening worldwide on January 12, 2012. 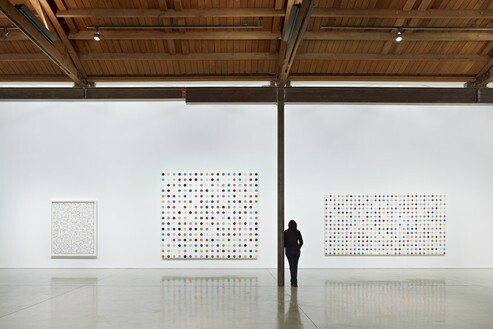 Most of the paintings are being lent by private individuals and public institutions, with more than 150 different lenders from twenty countries. 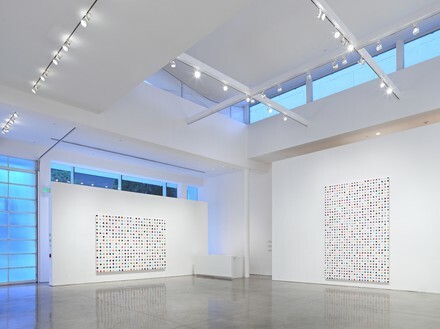 Conceived as a single exhibition in multiple locations, The Complete Spot Paintings 1986–2011 makes use of this demographic fact to determine the content of each exhibition according to locality. 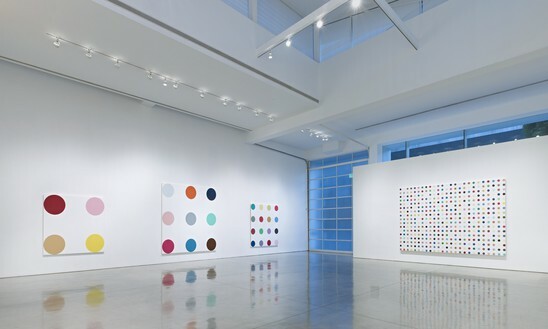 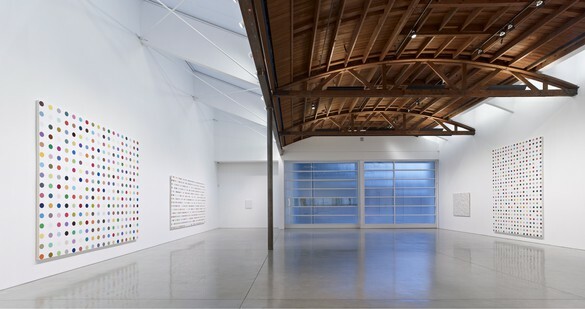 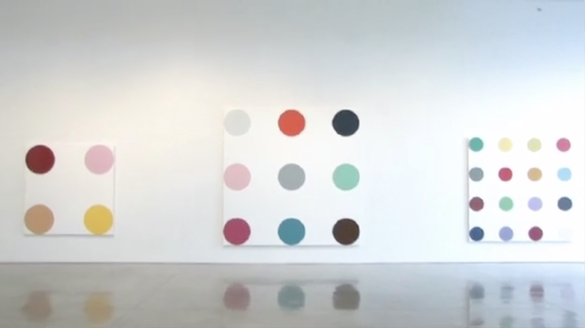 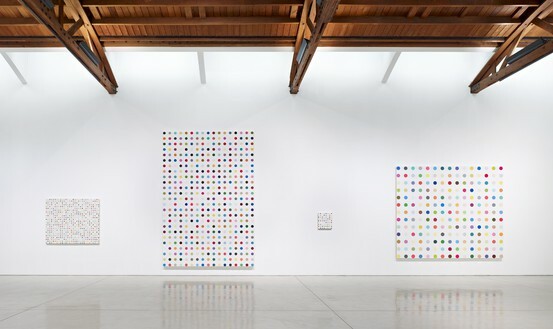 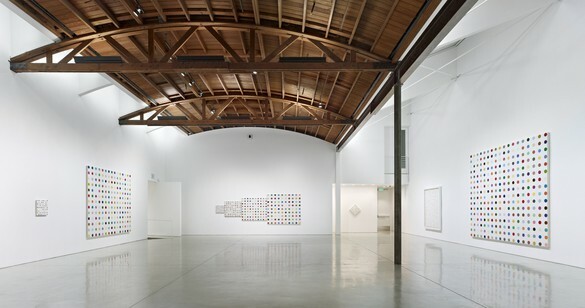 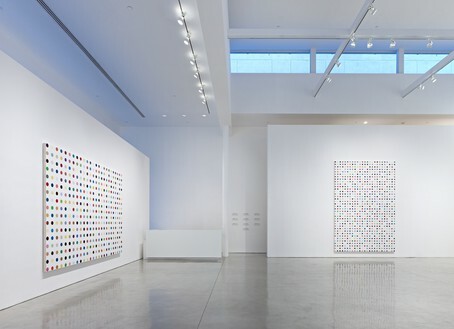 Included in the exhibition are more than three hundred paintings, including the first spot on board that Hirst created in 1986; the smallest Spot painting comprising half a spot and measuring less than a square inch (1996); a monumental work comprising only four spots, each sixty inches in diameter; and the most recent Spot painting (completed in 2011), containing 25,781 spots that are each one millimeter in diameter, with no single color ever repeated. 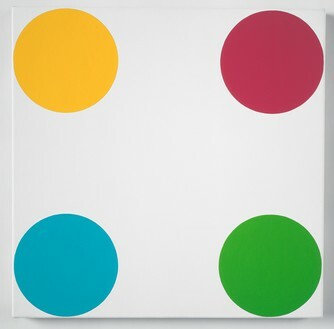 A fully illustrated, comprehensive, and definitive catalogue of all Spot paintings made by Hirst from 1986 to the present will be published by Gagosian and Other Criteria in conjunction with the exhibition. 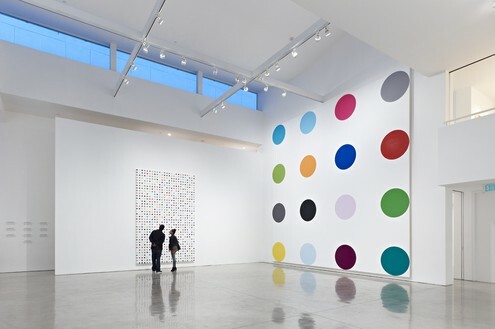 The Complete Spot Paintings 1986–2011 includes essays by Museum of Modern Art curator Ann Temkin, cultural critic Michael Bracewell, and art historian Robert Pincus-Witten, as well as a conversation between Damien Hirst, Ed Ruscha, and John Baldessari. 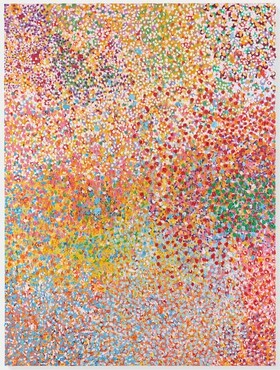 The third issue of the Gagosian App for iPad will also launch in January, providing an interactive, in-depth look at the series, featuring more than ninety spot paintings. 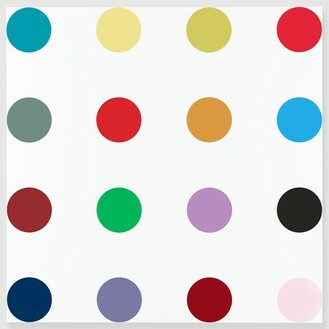 Damien Hirst: The Complete Spot Paintings 1986–2011 precedes the first major museum retrospective of Hirst’s work opening at Tate Modern in London in April 2012.